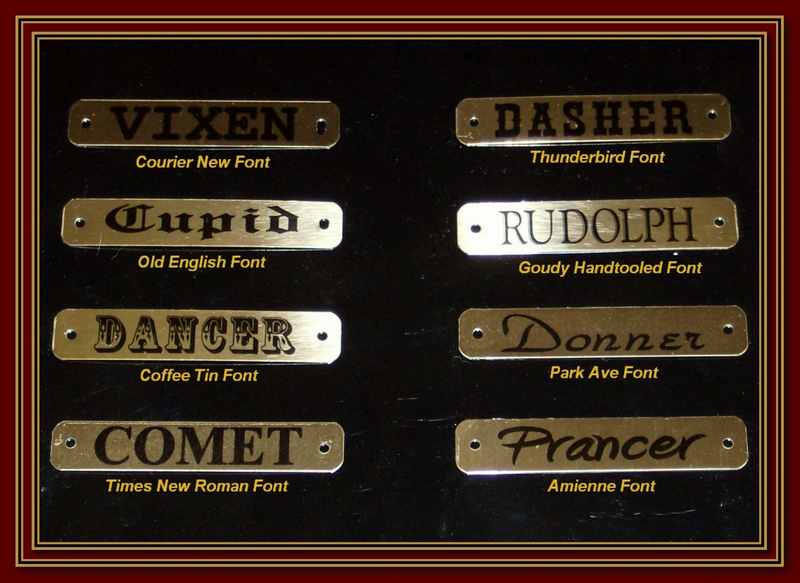 These are Solid Gold Satin Brass with Black Text of Your Choosing. Text is Baked into the Metal and will not peel or crack off. 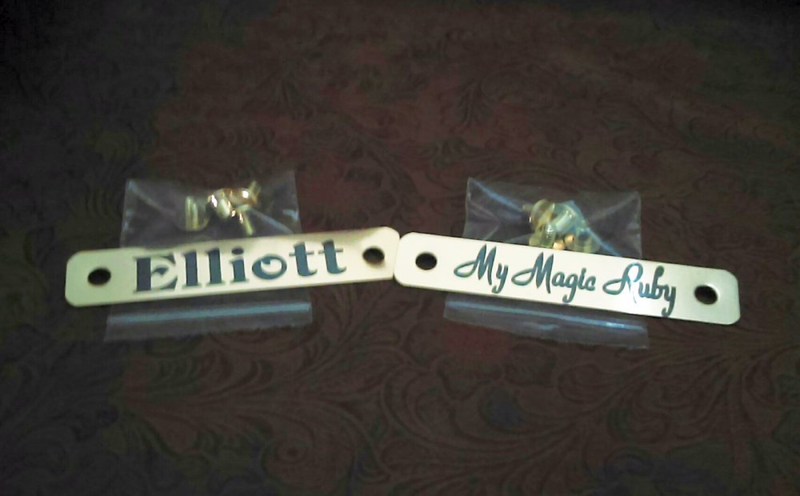 Each Piece is custom cut and drilled so other sizes are available. Please Choose Your Font(s) from the Drop Down List. You can enter have one or two lines of text. Usually the first line text is larger than the second line. If you have specific requirements, please feel free to email me about it cowgirlsloft@aol.com Please... check and recheck your spelling and capitalization. 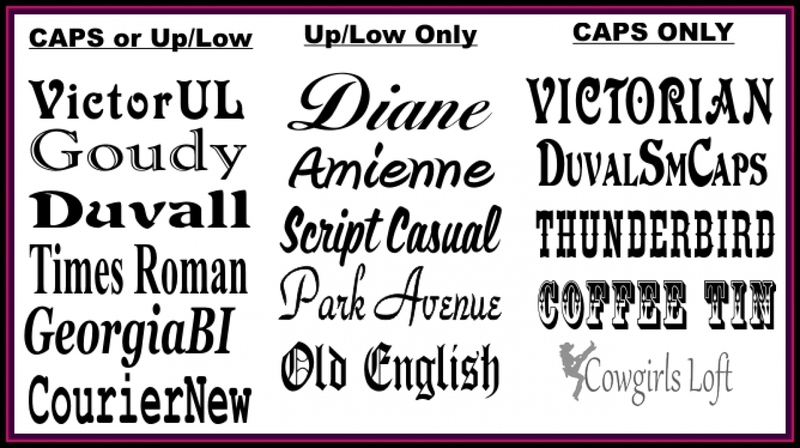 If you have questions or are unsure which font to use, feel free to contact me for help. 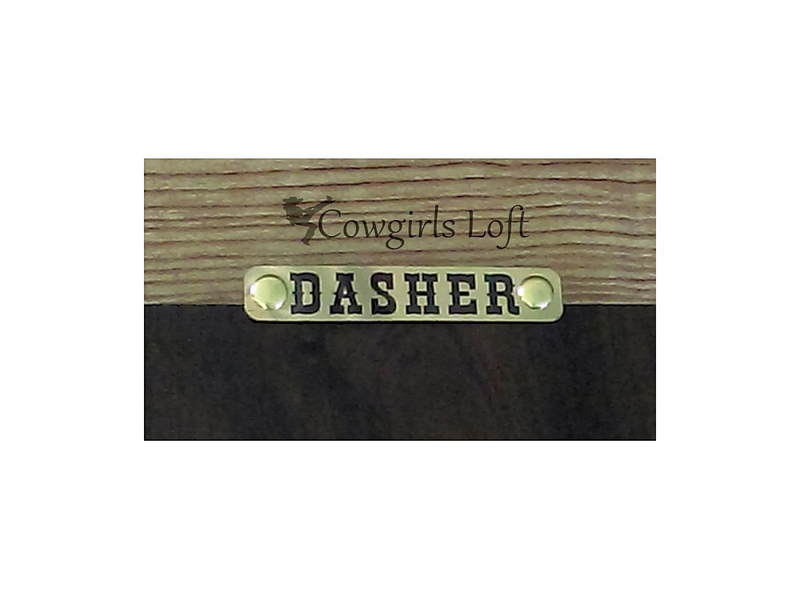 Name plate looks beautiful on my horse Svens halter. Nice quality and beautifully done. Wonderful customer service. Quick shipping. Went above and beyond! Thank you!